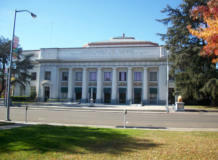 Since 1933 Champion Industrial Contractors, Inc. - formerly Hansen's - has provided the Central Valley with industrial HVAC, plumbing, and electrical work. 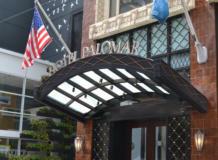 As we move forward in business we are still proudly family owned and operated. We strive with to provide our clientèle with everything necessary to accomplish their construction goals and needs. Contact us today and see why we have a tradition of excellence. At Champion Industrial Contractors, we are proud of our long history of successfully meeting the special challenges of industrial, commercial, institutional and public works projects. 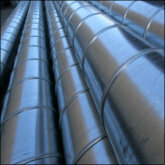 We were founded in 1933 as a plumbing, electrical and sheet metal firm. Through the years we have expanded our areas of expertise and are now one of the nation's largest mechanical contractors. Champion Industrial has started work on the Health South Rehabilitation Hospital. 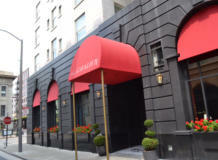 In cooperation with MJ Harris - Champion has completed the design phase of this project. 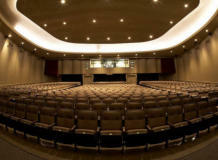 All the technicians in the Champion Mechanical division have completed the HVAC Excellence and UA S.T.A.R. training and certification process. Champion Industrial has National Pipe Fabrication Agreements that allow us to fabricate and deliver piping throughout the United States and Canada. Darrell has been with the company since 1975. Eli has been involved with the company his entire life and has been a part of the corporate management since 2004. John has been with the company since 1985 and our C.O.O since 2004. Ashveen has been with the company since 2011 and became our C.F.O. in 2014. Mike has been with the company since 1977. Mike became a project manager and estimator in 2006 and our Senior Estimator in 2012. Matt has been with the company since 1988. Matt is a registered PE. Brian has been with the company since 1998 and became the Sheet Metal Supervisor in 2008. Tom has been with the company since 1995 and became our Specialized Industrial Sheet Metal Supervisor in 2003. Jeff has been with the company since 1996. Garry has been with the company since 2007. Matt has been with the company since 2014. Rob has been with the company since 2013. 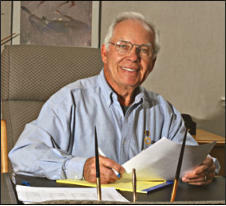 Champion Industrial Contractors, Inc. was started in 1933 with three men led by George Hansen. 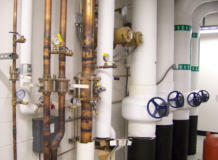 Originally, the firm was a plumbing, sheet metal and electrical contracting company. In 1946, James C. Champion was a certified welder who left the Navy Seabees and World War II behind to become a successful apprentice sheet metal worker at Hansen's. 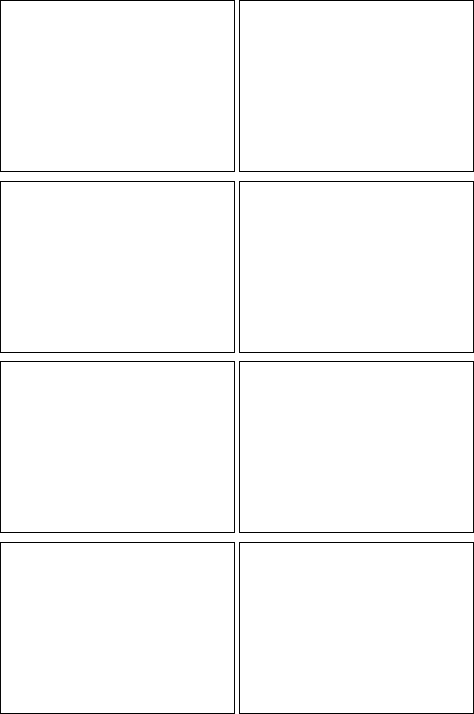 Over the years he worked his way up through the company. Mr. Champion became President of the company in 1963, when he, two other employees and four investors bought the business. The Champion family became sole owners in 1974 and in 1987 the name was changed to Champion Industrial Contractors Inc. Today, Mr. Champion remains as Chairman of the Board but has turned the operation over to our management team which is led by: Darrell F. Champion, Esq., Eli Champion, John Walter, and Ashveen Singh. 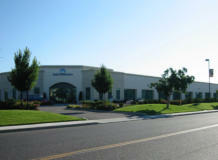 Champion Industrial Contractors, Inc. was started in 1933 with three men led by George Hansen. 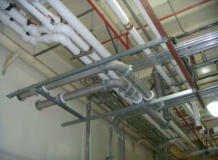 Originally, the firm was a plumbing, sheet metal and electrical contracting company. In 1946, James C. Champion was a certified welder who left the Navy Seabees and World War II behind to become a successful apprentice sheet metal worker at Hansen's. Over the years he worked his way up through the company. Mr. Champion became President of the company in 1963, when he, two other employees and four investors bought the business. The Champion family became sole owners in 1974 and in 1987 the name was changed to Champion Industrial Contractors Inc. Today, Mr. Champion remains as Chairman of the Board but has turned the operation over to our management team which is led by: Darrell F. C hampion, Esq., Eli Champion, John Walter, and Ashveen Singh. Today’s complex systems require a contractor with advanced mechanical capabilities; a contractor with experience and trained personnel that go beyond “being installers”. Customers need someone who will work with them to see that the work is done correctly the first time. Champion Industrial Contractors Inc. is that contractor! Our journeymen have gone through a minimum of five years of apprenticeship and our foremen have a minimum of ten years of experience in the field. Most of them have advanced training in specific areas. Our superintendents represent hundreds of years of experience in construction, process, mechanical systems and fabrication. Our services include “Plan & Spec” and “As Built” construction projects in HVAC, Plumbing and Architectural Sheet Metal, Specialty Sheet Metal and Process Piping projects. We have over 80 years of experience working in the mechanical construction industry. .
Champion Industrial Contractors Inc. maintains a staff of licensed Mechanical Engineers to provide design/build services such as multi-story buildings, offices, warehouses, plants and processes. We can design efficient, quality systems to meet your specifications. Single source responsibility saves time, effort, and money. 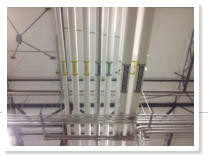 Champion Industrial Contractors Inc. can provide you “As-Built” CAD drawings as the project is being installed. From design to construction to start up, Champion Industrial Contractors Inc. provides the necessary management and manpower to complete the job on time and on budget. Our fabrication facility houses 67,000 square feet of HVAC ductwork, specialty sheet metal and piping prefabrication operations. We are well equipped and well-staffed to produce either simple or complex systems. Our services include “Plan & Spec” construction projects in HVAC, Plumbing and Architectural Sheet Metal, Specialty Sheet Metal and Process Piping projects. Our fabricators have provided services for local and foreign clients on industrial, commercial and residential projects. Champion’s Mechanical Service Department maintains a staff of UA Certified mechanical service technicians. 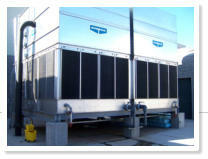 Our Service Department provides maintenance, repair and replacement of air conditioning package/gas-electric units, split systems, heat pumps, chilled water systems, furnaces, boilers and piping systems, cooling towers, evaporative condensers, market refrigeration, energy management and controls, and on-call emergency services. Champion Industrial Contractors Inc. maintains a staff of licensed Mechanical Engineers to provide design/build services such as multi-story buildings, offices, warehouses, plants and processes. We can design efficient, quality systems to meet your specifications. Single source responsibility saves time, effort, and money. Champion Industrial Contractors Inc. can provide you “As- Built” CAD drawings as the project is being installed. From design to construction to start up, Champion Industrial Contractors Inc. provides the necessary management and manpower to complete the job on time and on budget. Our services include “Plan & Spec” and “As Built” construction projects in HVAC, Plumbing and Architectural Sheet Metal, Specialty Sheet Metal and Process Piping projects. 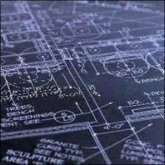 We have over 80 years of experience working in the mechanical construction industry. Champion Industrial Contractors Inc. maintains a staff of licensed Mechanical Engineers to provide design/build services such as multi- story buildings, offices, warehouses, plants and processes. We can design efficient, quality systems to meet your specifications. Single source responsibility saves time, effort, and money. 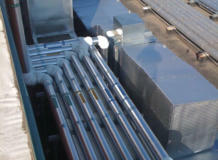 Champion Industrial Contractors Inc. can provide you “As- Built” CAD drawings as the project is being installed. From design to construction to start up, Champion Industrial Contractors Inc. provides the necessary management and manpower to complete the job on time and on budget. Our fabrication facility houses 67,000 square feet of HVAC ductwork, specialty sheet metal and piping prefabrication operations. We are well equipped and well- staffed to produce either simple or complex systems. Our services include “Plan & Spec” construction projects in HVAC, Plumbing and Architectural Sheet Metal, Specialty Sheet Metal and Process Piping projects. Our fabricators have provided services for local and foreign clients on industrial, commercial and residential projects. 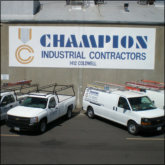 For over 80 years Champion Industrial Contractors, Inc. has been the central valley’s leading mechanical contractor. Our portfolio highlights some of our projects over the years. Piping, sheet metal, plumbing, HVAC, commercial, residential, industrial and maintenance Champion Industrial has done it all and looks forward to working with you on your next project. Champion’s Plumbers and Pipe fitters are union trained and certified. Champion’s Sheet Metal Workers are union trained and certified. 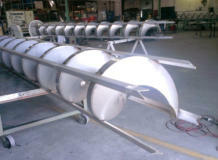 We have provided our clients with a variety of specialty fabrication projects through the years. 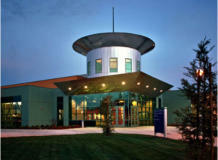 Champion has provided mechanical construction and design/build services on multiple Heath-care projects. 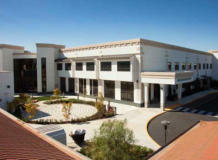 Champion has provided mechanical construction and design/build services on multiple Educational Institutions. Champion performed the mechanical design/build for the Cheese and Protein International, LLC. 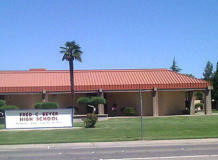 plant in Tulare, CA. 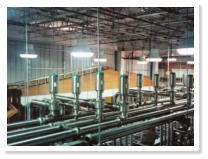 The mechanical project value was $5,740,000.00 and was completed in 2000. 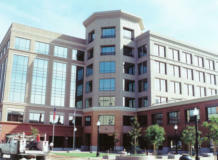 Champion worked in connection with Harris Construction the general contractor on the project. 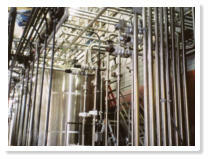 The facility manufactures and packages whey and cheese products. 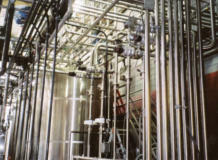 As of April 2007 the facility was acquired and currently is operated by Saputo Cheese USA. 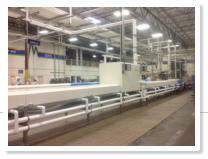 Champion performed the mechanical design/build for the Cheese and Protein International, LLC. plant in Tulare, CA. 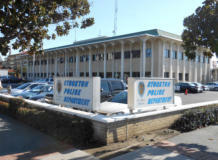 The mechancial project value was $5,740,000.00 and was completed in 2000. Champion worked in connection with Harris Construction the general contractor on the project. The facility manufactures and packages whey and cheese products. 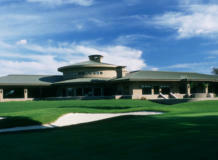 As of April 2007 the facility was acquired and currently is operated by Saputo Cheese USA. Modesto Irrigation District: Woodland 3 Generation Station is a 50MW power plant expansion which was constructed adjacent and tied into two existing turbine plants that are in full operation. The power plant consists of six Wartsila reciprocating engine/generator sets that produce 8.3 MW's each. 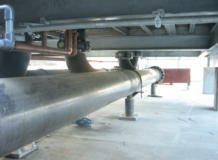 Working under a very aggressive project schedule with the general contractor Haskell Corporation, Champion provided fabrication and installation of the following piping systems: Ammonia, Charge Air, Cooling Water, Exhaust Gas, Fuel Gas, Instrument Air, Lube Oil, Oily Water, and Starting Air. 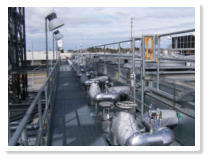 Champion also provided fabrication and installation of supplementary steel for piping supports. This $2,539,000.00 project even with the challenge of a congested and restricted location was completed both safely and on schedule in 2011. Champion completed the mechanical $2,200,000 portion in 2007, on the new central plant allowed Dameron Hospital to upgrade the 40 year old plant with new, higher capacity equipment, capable of serving the facility in its long range plans for department expansions. The 16,293 square foot central plant facility included central chillers, boilers, medical gas, vacuum systems, electrical equipment and emergency generators for the entire hospital facility. Plant functions involve central heating, cooling, emergency power, electrical equipment, medical and other gas storage and maintenance functions. Champion’s plumbers and pipefitters. are dedicated union trained industry specialists. 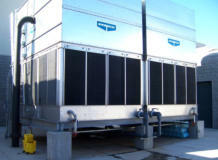 Champion’s crews are experienced fabricators and installers who work in industrial facilities on a daily basis. 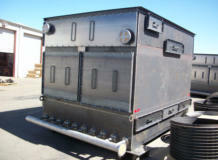 Our fabricators have provided services for local and foreign clients. The ISD Water Treatment Facility is a complex of piping and processes designed to turn wastewater into a product that is safe to return to the environment and safe to reuse for irrigation. The facilities include a solids holding tank, waste activated sludge pump station, solids feed pump station, dewatering belt filter presses and a dual truck bay for temporary storage. 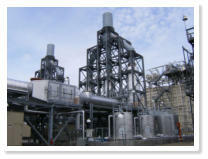 The plant is serviced by 21,000 volts of primary power. 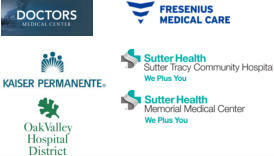 Backup generators are available to kick on in rare occasions when primary power from PG&E is unavailable, ensuring the facility will remain operable. 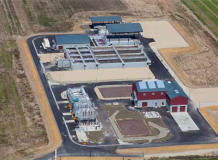 The Water Recycling Facility has a design capacity of 4.3 million gallons per day. 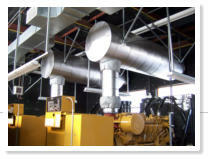 Champion’s scope of work included the Heating, Ventilating, and Air Conditioning, a Variable Refrigerant Flow System, Fiberglass Reinforced Plastic (FRP) Fans, and Fiberglass Reinforced Plastic (FRP) Ductwork.